The U.S. government produces limited data on sport participation and physical activity rates, and none on youth before high school age. 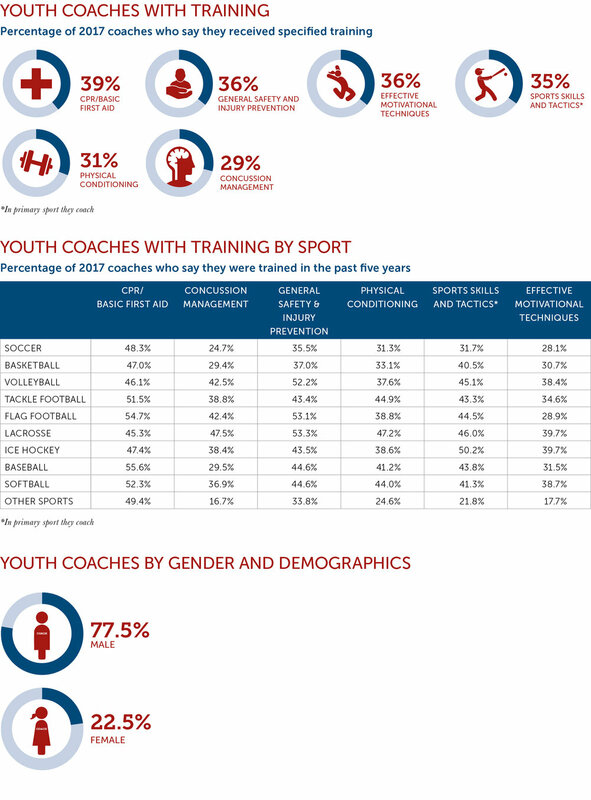 In that void, the most robust data is generated through an annual household survey conducted by the Sports & Fitness Industry Association (SFIA), a Project Play partner that provides custom data on youth participation to the Aspen Institute. The charts on this page are drawn from our most recent report, State of Play: 2018, which offers the latest data. The report also highlights key developments from the previous year in each area of opportunity identified in our seminal report, Sport for All, Play for Life: A Playbook to Get Every Kid in the Game.